You can turn into any superhero of the popular cartoon Teen Titans right now. This mod adds 13 characters that can be spawned and their equipment. If you put on a suit, you get superpowers and a spectacular appearance. 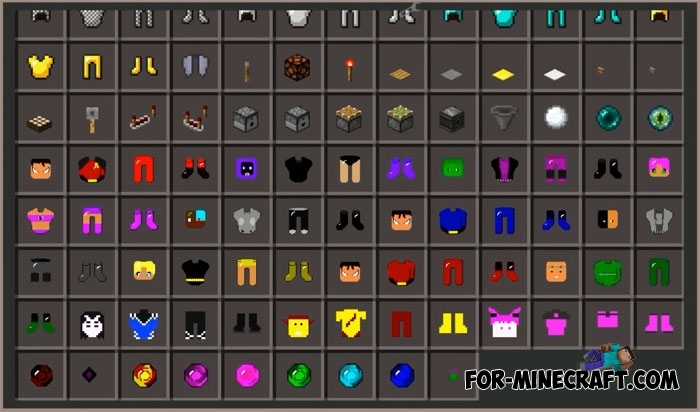 There are special ores that are used to create costumes, so you do not have to enable creative mode to get them. All mobs have the same health and abilities but different particles. You can spawn the main characters and fight them if you choose the side of evil. The Flash mod (MCPE 1.0/1.1)The Flash mod is not a simple addon that replaces armor sets with superhero costumes. This modification turns you into real Flash.. Legendary Beast PE mod for Minecraft PE 0.14.0/0.14.1The mod adds 5 new bosses with unique views and battle style, and cool weapons which you will also can use!